My main focuses are on individualizing each patient’s plan concerning current screening and/or genetic testing while taking their family and personal histories, as well as personal goals into consideration. Addressing patient and familial risks and their available options serves as a unique opportunity to impact patient wellness and disease prevention. My goal is to support and serve as a resource for patients while guiding them through the process. 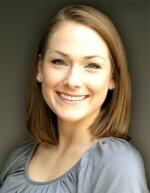 Kendra Eaves, MS joined the Medical College staff in May 2014. Her Master of Science degree in Medical and Molecular Genetics was obtained at the Indiana University School of Medicine in Indianapolis, Indiana. She became a Board Certified Genetic Counselor through the American Board of Genetic Counseling in 2015. As both a prenatal and reproductive medicine genetic counselor, her main focuses are on individualizing each patient’s plan concerning current screening and/or genetic testing while taking their family and personal histories, as well as personal goals into consideration. Addressing patient and familial risks and their available options serves as a unique opportunity to impact patient wellness and disease prevention. Kendra’s goal is to support and serve as a resource for patients while guiding them through the process. In her spare time, Kendra enjoys spending time with family and friends. She looks for opportunities to be outdoors whenever possible, and is fond of summertime lake activities. Traveling and animals are two of Kendra’s passions.